What is The Most Important Thing In Blogging? Saturday afternoon I stood on the sixth floor of what once was the Texas Book Depository in Dallas and looked out the window and thought about what life was like 50 years ago. Stood there and thought about what it must have been like for my folks to hear that President Kennedy had been shot and figured they must have wondered about the future, but I don’t think they could have imagined the future their kids and grandchildren live in. Nothing wrong with that, when JFK was assassinated they were a couple of twenty somethings living in two different states who hadn’t even met each other Â yet. Â And since there were no personal computers, cellphones, iPods and or iPads there is no reason why they would think about something that would one day be called blogging. Elizabeth wrote a recap of her time at BlogHer and I thought some more about blogging. Thought about why I am doing this and what I want from it. I haven’t spent much time reading the reviews of BlogHer 2013 because they all blur with the others I have read through the years. That is not a knock against any of the writers, more a comment about me and what catches my eye. People power social media and that is what I see in these reviews. Most of them include chunks of content about the people they met and I think that is cool. Blogging has added much to my life, given me new friends, led to jobs and provided experiences I wouldn’t have otherwise had. And it has led me to walk a path I might not have otherwise done. Writing is what is most important to me, or more accurately becoming a better writer and taking the steps that need to be taken to live my dreams and not my dream my life. It is why I changed my focus to spend more time reading and writing than commenting on other blogs. It is why I look back at some old posts to see what I wrote and to try to figure out if I have made the sort of progress I want to make. Those writing exercises are important. But there is still that need to pay attention to the other components that come along with this. There is the need to learn more about building a blog, about independent publishing and about ways to build the platform and community. It is why I play around with the commenting services I use here and why I added Google + Comments. Did I mention that the Google + comments seem to be working and that traffic has increased. Is there a relationship between that or is it just coincidence? I am not entirely certain yet but I am working on it. Does It Have To Be Writing Or People? If I want to become a better writer but still have a need to learn from those who already have some success in my field I need to find a better way to blend what I am doing. That means I am looking at how I have been spending my time and wondering again if maybe it would be beneficial to work on building the relationships with people who have that success I mentioned. 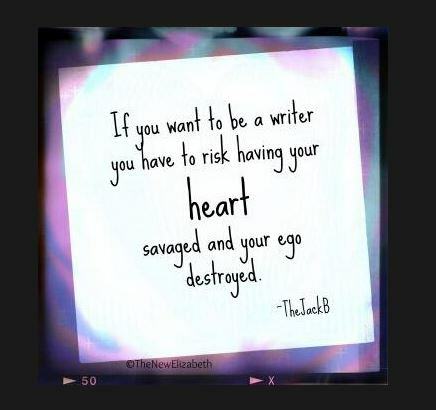 It means I am trying to figure out how to create a 32 hour day so that I have more time to write and that I am working on writing more fearlessly again. I am not writing as I once did with the same sort of reckless abandon. It may not be a bad thing, but I have this itchy feeling that says I need to pump up the content here again and I need to develop those relationships. Doesn’t mean that it won’t be strategic, just that I am noticing things. Bottom line, if you aren’t asking questions of yourself and looking at how you Â spend your time you might be missing some opportunities and I don’t want that to be me. What do you think? What is the most important thing in blogging? I’m glad it helped. I flip through the pages here every so often just to see if things have progressed or regressed. Let me know if ever figure out the secret to the 32 hour day. I believe that writing is what’s important to me, but on the other hand, it’s connecting with people as well. I would still be blogging, even without anyone reading my blog. But, I am not sure how long I would be writing before I’d be rather lonely. Jens-Petter BergetÂ It is a hard balance to strike, but I know for me I love writing far too much to stop. However I have noticed that more interaction tends to make it more enjoyable.